We've all heard the expression, "A picture is worth a thousand words." This is especially true in real estate. If you've recently searched for homes online, you've probably noticed the poor quality of many real estate photographs. Some of the "Big Name Brokers" charge top dollar yet their marketing plan involves snapping a few photos with their smartphone and placing a "For Sale" sign in the front yard. If this is all it takes to sell a home, you’d be better off doing it yourself. Before the Internet, home buyers relied on real estate agents to show them which houses were available. In today's internet world, it's the exact opposite. Buyers are searching sites such as Realtor.com and Zillow and "TELLING" their agent which homes they'd like to see. Today's Buyers have unlimited access to online information and are more sophisticated than ever. If you were trying to sell a car, wouldn't you wash, vacuum and wax it before taking pictures? Why is selling a home any different? The majority of online real estate photos are so dimly lit you can't tell how big the rooms are, or there are toys and clutter are all over the place. How many photos have you seen where the cars are still in the driveway, or the trash barrels haven't been put away? Couldn't the agent have taken the dirty dishes out of the sink before photographing the kitchen? Photographs are powerful bait. Good ones can lure buyers; however, poor ones can do the opposite. For a home to sell quickly and for top dollar, it needs to attract as many prospective Buyers as possible. For this to happen, real rstate listings must have strong visual appeal. Professional photos are a must. Additionally, each photograph should be carefully staged. When you hire the Myers Team, we will help you stage and prepare your home to ensure the photographs showcase your home at its best. Professional high-quality photographs entice Buyers to come look at your home; however, it’s also important to ensure your home is clean and ready for showings. Ask any real estate agent and they will tell you that clean homes sell FASTER and for MORE MONEY than dirty or cluttered homes. Here are a few tips explaining what should be done to prepare your home for photographs and showings. If your home is full of clutter, Buyers will get distracted looking at YOUR stuff instead of looking at your home. Homebuyers want to visualize how THEIR stuff will look in your home. Therefore, clutter needs to be removed. Get rid of boxes and knick-knacks. Identify any items you plan to throw away and give what you can to charity. After living in your home for several years, it’s normal to become accustomed to your surroundings. Therefore, it’s best to have a “fresh set of eyes” assist you. The Myers Team will walk through your home with you and offer suggestions regarding how to stage it best for showings. Remember, the goal is to make your home as warm and inviting as possible. Dirty kitchens and bathrooms can be deal killers, so it’s important to keep these areas spotless. We realize you may still be living in your home; however, the goal is to get it sold…for top dollar. Remove any unnecessary items from your kitchen countertops. Coffee makers and toasters are fine; however, the less stuff on your countertops, the more spacious your kitchen will appear. Take all photographs and magnets off the refrigerator. Keep the stove and oven spotless. Don’t leave dirty dishes in the sink, and keep the pantry neat and organized. Bathrooms must be impeccable for obvious reasons. Please ensure showers, mirrors, sinks and toilets are pristine. Put away make-up and personal grooming items. No dirty clothes on the floor. Go through closets and pack all clothes you don’t need for the next month or so. One of the biggest turn-offs to Buyers is a closet that is full or over-flowing. Closets should look half to no more than three-quarters full. Pack up the family photographs. Buyers need to picture their kids and family in the home rather than yours. Put away art work that might be too risqué or offensive. Guns and jewelry are other items that should not be around. These are just some of the things to put away. Don't use your garage as a storage locker if you can avoid it. Look for a convenient self-storage facility that's affordable and secure. Once you've packed up non-essentials and taken them to storage, your home will be much more appealing to Buyers. Lastly, focus on repair and maintenance issues. Replace any burnt out light bulbs. Change the A/C filters and make sure the vents are dust free. This shows Buyers you care about your home and keep it in good condition. Do required touch-up painting. Clean the baseboards. Sweep the front steps and patio. Roll up the hoses and if you have pets, please make sure you clean up after them. If you have a pool, keep it clean and free of debris. Turn on any “water features” for showings. Details matter! The more you prepare your home before the photographer arrives, the better the pictures will look. Remember, the photographer is hired to take the photos and make the space look bright and inviting through the camera lens. It is not their job to clean up the mess. They can only do so much with a house that is cluttered, dirty or messy. The better the photographs look, the more your home will show. More showings can help your home sell faster and for more money. The first step is to remove the clutter. It is always best to clear the clutter out of every room, because a clean space is more appealing. The goal is to create an open and inviting room which Buyers can imagine themselves living in. Once the clutter is removed, each room should be dusted, vacuumed, swept and mopped (if applicable). A quick wipe down to “clean” the house isn’t enough. It is important that all areas are deep-cleaned in order to remove dirt, grime or anything else that might be visible. Be sure to thoroughly clean baseboards, lighting fixtures, ceiling fans, and air vents. Don't forget to have the carpets cleaned and windows should be spotless. If you find you have too much clutter, and you’re “not quite ready” to throw it away, then please move it to a secondary bedroom for the photo shoot. Clutter may include items such as stacks of papers, boxes, laundry, toys, etc. Children and pets are an important part of any family; however, they sometimes get in the way during a photo shoot. Please don’t let the dogs run around in the yard during the photo shoot and indoor animals should be moved out of each room as it is being photographed. All pet beds, kennels, toys, feeding dishes, etc. should be put away. Same goes for children’s toys, high chairs, playpens, etc. Put away items such as garden tools, trash cans, toys, pool toys, etc. Put away hand and dish soap bottles, detergent, cleaning supplies, sponges, mops, etc. Remove any misc. papers, mail, bills, cell phone cords, laptops, pens, etc. Put away bread, chips, bags, etc. Straighten couch cushions, pillows, etc. If bookshelves are in the room, take out half of the books and arrange the remaining books in a nice pattern. Keep the nice hardback and colorful books and hide the paperbacks, etc. Remove playpens, baby swings, high chairs, etc. Remove clutter, dirty clothes, purses, shoes, stuffed animals, etc. Hide any cords used to charge cell phones, iPads, computers, etc. CALL US for a FREE consultation. We will gladly come out to your home and walk with you from room to room, answering questions and offering advice to help prepare your home for sale. Our professional photography and virtual tours will make your home STAND OUT. Why sell unless you can get TOP DOLLAR? Let us show you how. Was Your Las Vegas Home Listed And Didn't Sell? 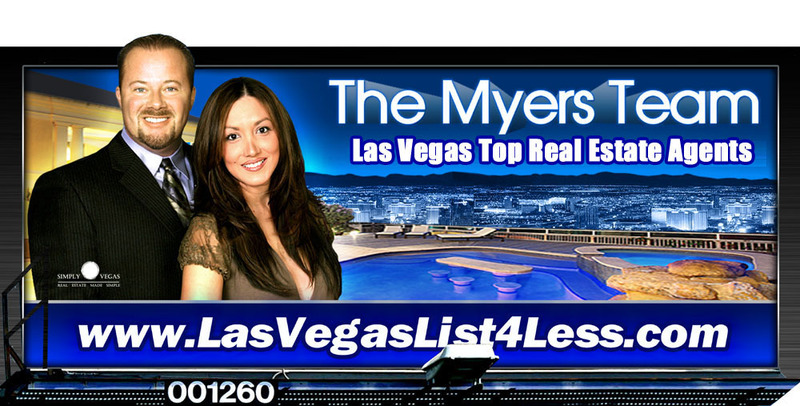 Did you recently list your Las Vegas home with a Broker and it DID NOT SELL? If so, you’ve come to the right place. There are many reasons why homes don’t sell. Sometimes it’s the price; however, this isn’t always the case. The number one reason why homes don't sell is because the listing agent failed to market it properly. Unfortunately, many people choose to hire a Broker because they are a “friend of a friend;” however, this does not usually work out well for the Seller. No two homes are alike and marketing plans should be customized for each specific property. For many agents, their marketing plan is to snap a few photos with their smartphone, print some flyers and put a “For Sale” sign in the front yard. If it was that easy to sell a home, you could probably do a better job selling it yourself. The bottom line is if your home sits month after month with no offers, the expenses begin to add up, such as utility bills, HOA fees, mortgage payments, landscape expenses, etc. This is why hiring a “Discount Broker” can actually cost you much more than anticipated. 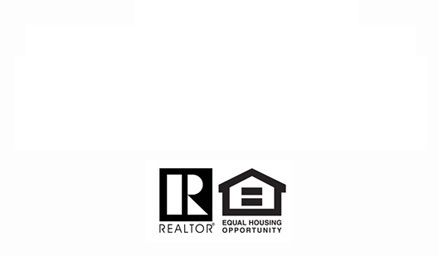 The Myers Team specializes in Seller Representation. Our strength is our ability to enter a home, assess its strengths (and weaknesses) and develop a successful marketing plan to get it sold. If your home was listed with a Broker and didn’t sell, we will analyze your prior listing, then sit down with you and show you why it didn’t sell. We will begin by outlining the changes we would make, specifically to the marketing strategy. We will walk through your home and help you stage it properly. We will then offer recommendations so it's ready for photographs and showings. No matter the age or condition of your home, The Myers Team has never met a challenge they wouldn’t take. What If My Home Needs Repairs? Many Brokers these days like to refer to themselves as, “Luxury Agents;” however, what if your home isn't a luxury home? Which agent should you call if your home needs a little work? Maybe your home is beautiful and in a nice neighborhood, but it could use new carpet, fresh paint or updated appliances? You DO NOT need to spend thousands of dollars preparing your home for sale. You need an agent who knows how to highlight your homes strengths, and advertise it accordingly. Buying new flooring or repainting a home does not guarantee stronger offers or a higher sale price. In fact, doing this may cut into your net proceeds. For example, a client named “Robert” wanted to sell his home; however, he asked us to wait until he replaced the carpet. He felt new carpet would help the home sell faster. Additionally, Robert decided to repaint the interior. When all was finished, Robert spent almost $9,000 on carpet and paint. The home sold for a fair price; however, a week after escrow closed, the new Buyers ripped out the carpet and put in ceramic tile. Additionally, they had a painter re-paint the interior of the home with their own, personalized colors. The moral of the story is the new carpet and paint meant nothing to the Buyers. They already knew it was going to be replaced, and had planned on the expense. Could Robert have sold the home to the same Buyer and possibly saved himself $9,000 in expenses? The Myers Team sells homes in every condition and price range. If an agent advises you to spend money remodeling your home in order to prepare it for sale, SHOW THEM THE DOOR. It is not necessary. Clean and clutter free homes sell for top dollar. We would rather put that money into your pocket. * The Myers Team are NOT lawyers, nor qualified to give legal advice of any nature. The Myers Team are NOT accountants, CPA's nor qualified to give tax advice. This web site is not intended to offer legal advice and all information contained in this web site is for information purposes only. All Myers Team clients are encouraged to seek the advice of a real estate attorney, and/or a qualified CPA. All of the information contained in this web site is subject to change. All site software, design, text, images, photographs, illustrations, audio clips, video clips, artwork, graphic material, or other copyrightable elements, and the selection and arrangements thereof, and trademarks, service marks and trade names (the "Material") are the property of The Myers Team™ and/or its subsidiaries, affiliates, assigns, licensors or other respective owners and are protected, without limitation, pursuant to U.S. and foreign copyright and trademark laws. The Myers Team™ hereby grants you a personal, non-exclusive, non-assignable and non-transferable license to use and display, for noncommercial and personal use only, one copy of any material and/or software that you may download from this Site, including, without limitation, any files, codes, audio or images incorporated in or generated by the software provided that you maintain all copyright and other notices contained in such Material. You agree not to reproduce, modify, create derivative works from, display, perform, publish, distribute, disseminate, broadcast or circulate any Material to any third party (including, without limitation, the display and distribution of the Material via a third party web site) without the express prior written consent of The Myers Team™. Use of http://www.NevadaShortSaleInfo.com and/or http://www.VegasShortSaleInfo.com and/or http://lasvegaslist4less.com and/or its licensors' Material is only permitted with their express written permission. You further agree that you will not disassemble, decompile, reverse engineer or otherwise modify the Material. Any unauthorized or prohibited use may subject the offender to civil liability and criminal prosecution under applicable federal and state laws.